I am in Williamsburg a lot and they have a great outlet there (BBrothers, Columbia, Couch, Gap, etc) and when it first opened, it was amazing. But lately, except for Columbia and Couch, I found that the stuff was cheaper. BBrother shirts were thinner and not as nice, Gap didn't have their regular clothes, etc. And it was not particularly cheap. I am, will never turn away an opportunity to shop and find good sales Happy Shopping everyone! I would go sooner if it is open in summer :-) About an hour of drive from my place. WARNING: Expect A lot of Traffic / Parking Issues This Weekend! Just saw news coverage of the grand opening on WRAL. They have a news chopper overhead. Traffic exiting the freeway looks all backed up and the parking lots are beyond full. Folks are parking on the grass and along sidestreets. They interviewed one guy who drove out from Raleigh and he said it took 40 minutes to roll up to the exit off the freeway. Looks like a nice facility, but I would consider waiting until he buzz dies down before visiting! 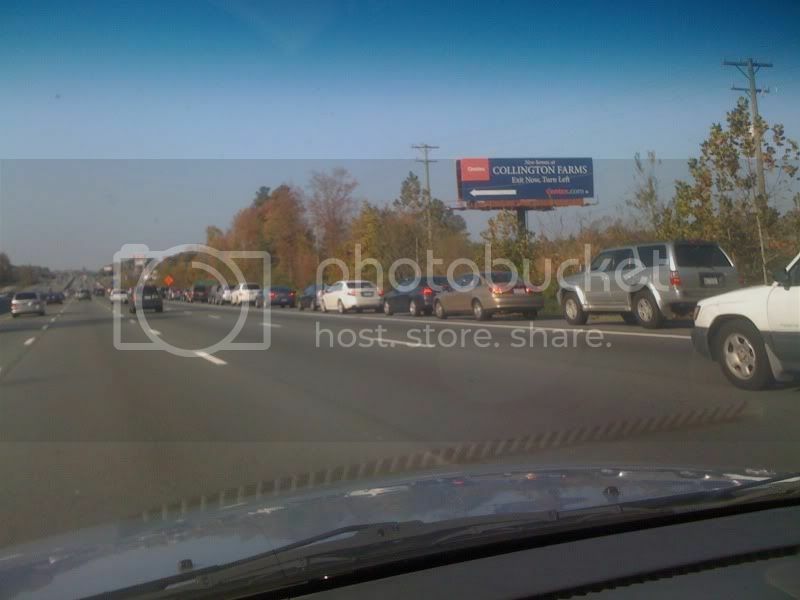 Here's a picture of the traffic on I-85/40 about 10:15 this morning. It was the same thing coming from the other direction too. Instead of "What Not to Wear" it looks like "Where Not to Go".